We all have that friend; The marijuana user that we love, that loves to get high. When attempting to discuss issues related to marijuana use with them, we typically hear two different myths: Marijuana is not addictive, and marijuana is not a gateway drug. We must equip ourselves with the facts about these commonly accepted marijuana myths in order engage in more productive debate on this topic. Myth One: Marijuana is not addictive. This is one of the biggest lies told by marijuana supporters. The argument is that it is impossible to become addicted to marijuana, therefore it is safe to use. This simply is not true. Marijuana use can lead to Addiction, Dependency, and other Marijuana Use Disorders. Marijuana Addiction and Marijuana Dependency are both different forms of Marijuana Use Disorders. According to a peer reviewed study published by JAMA Psychiatry, 30% of those who use marijuana develop some form of a Marijuana Use Disorder. Along with that, marijuana users who began using before the age of 18 are four to seven times more likely to develop a Marijuana Use Disorder. This is even more alarming when comparing it to another survey. 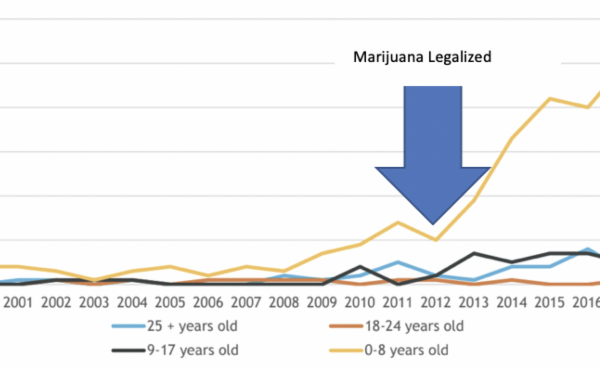 In 2007, 6.7% of 12-17 year-olds reported that they were current Marijuana users, 58% of that same demographic stated that it was easy to obtain Marijuana. Marijuana Use Disorders can lead to many dangerous behaviors and feelings like increased anxiety, decreased appetite, irritability, and sleeplessness. Even more common than the previous myth is this one. Countless times since the legalization of marijuana in Colorado I have heard this argument made by those who support the recreational use of marijuana. All it takes is a little research in order to prove this myth incorrect. There is a strong correlation between marijuana use and the use of other drugs. In another peer reviewed article a group of three professors from Columbia University and two professors from the University of Oviedo analyzed the NESARC, which stands for, National Epidemiologic Survey on Alcohol and Related Conditions. Based on this survey, the professors found that 44.7% of individuals with lifetime cannabis use eventually tried other illicit drugs during their lifetime. According to another survey of adults aged 26 or older who used Marijuana before the age of 15, 62% tried cocaine at one point in their life, 9% went on to try heroin, and 54% abused mind-altering prescription drugs. Sure, we may not be able to prove causation when looking at these surveys, but we can conclude the there is an abnormally high correlation between marijuana use and the use of other drugs. On most issues I agree with the premise ‘be and let be’; however when quality of life is on the line, I believe it is important to take a stand. We can no longer fall for these common myths about marijuana use. 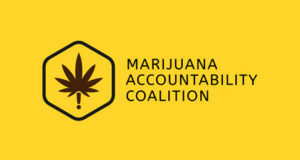 We must educate ourselves and others on the dangers of marijuana use and abuse.